It has been about 6 months since I started blogging, and one of the things that I have really enjoyed is the opportunity to meet other bloggers with similar interests. I admit, I get my fair share of raised eyebrows when my friends and family see the amount of effort I put into some less than popular past times (labelling is a hobby). However, my new bloggy friends also have a passion for making the world a little more pretty, and agree that it's worth the blood, sweat and tears to "Do it Yourself"! Jessica is a fellow blogger who shares her love cooking and crafting on her fabulous blog Prairie Girl to Southern Belle. This week, Jessica and I decided to swap Valentine's Day posts. Her recipe for "Sweet Hearts" uses flour tortillas, cinnamon and sugar, to make a quick snack. Absolutely perfect for Valentine's Day festivities! 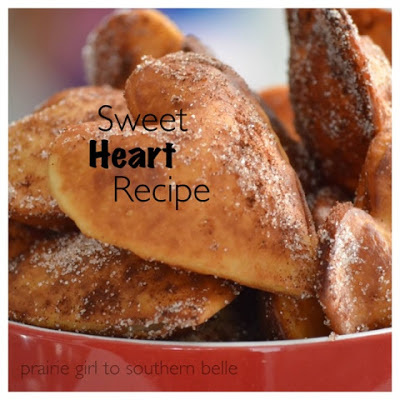 Hop on over to Prairie Girl to Southern Belle to find the cooking details (Sweet Heart Recipe). And stay tuned for more fun contributions from Jessica! Hey Leanne! 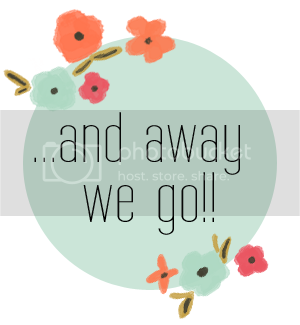 Thanks for sharing your printable a on my blog today! I will be printing during my little guy's nap time!! Thanks again! I'm Leanne and I am so happy that you stopped by! I am a mom, a wife and a teacher. I absolutely love creating, but with three little ones to chase around my projects have to stay quick and easy! I hope you enjoy them!